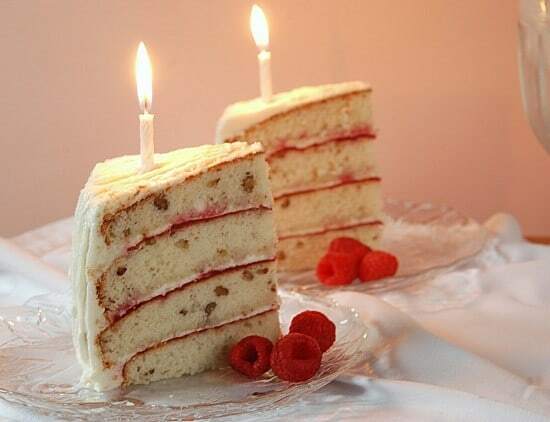 Pecan Layer Cake with Raspberry Filling is a white pecan cake layered with raspberry filling, then iced with white buttercream frosting. Ignore the title on the picture. This is my Aunt Marg’s recipe but pecans were substituted for hickory nuts. HAPPY BIRTHDAY Aunt Marg! This post is dedicated to you–one of the best cooks in the Herd family. 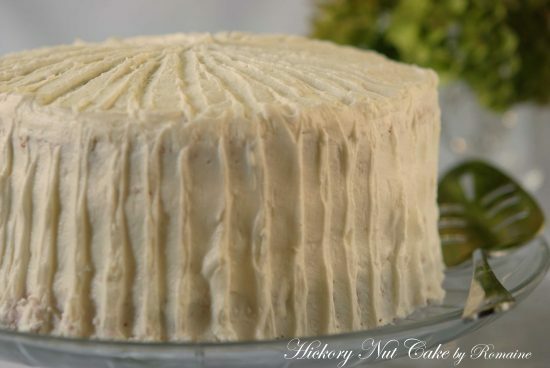 This delicate and tender white cake is a family legend. My aunt entered the recipe in a contest–and WON! I think first place, but it may have been second. I think the prize was a new washer and dryer. Aunt Marg, if this is wrong, please correct me. As my aunt mentioned, this is an excellent white cake. Being as I’m in Texas, I had to use pecans. I’m thinking hazelnuts would also be a nice substitution for the hickory nuts. One more thing. The raspberry filling is my own addition. It’s not necessary, but my family loves it. Beat egg whites in separate bowl and set aside. Cream shortening and sugar together until light and fluffy. Sift flour, salt, and baking powder together. Combine milk, water, and vanilla. 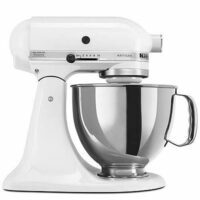 Add dry and liquid ingredients alternately to creamed mixture, beginning and ending with flour mixture. Stir in nuts. Fold in egg whites. Pour into 2 9-inch pans. (I used 8-inch pans and split the layers with a serrated knife.) Bake in preheated oven for 20-25 minutes. Frost with a traditional butter cream icing. Combine raspberries,sugar and cornstarch in batter bowl and return to microwave. Cook on HIGH till thickened, approximately 2-3 minutes. Allow to cool. 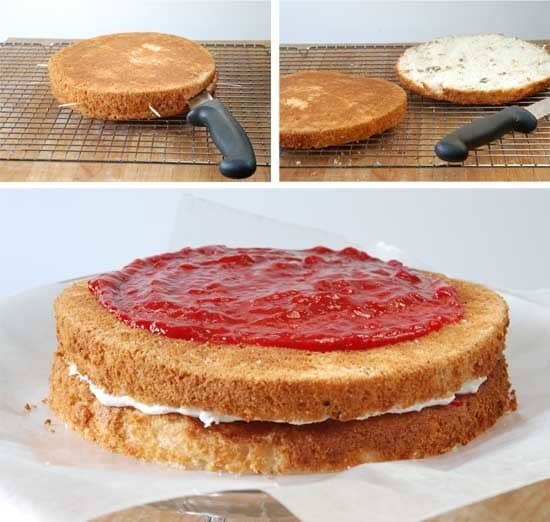 Split layers if you used 8-inch cake pans. Spread filling on top side of one layer and buttercream icing on bottom of next layer. See picture. Do not push raspberry filling all the way to the edge as it will spread on its own. Spread too thickly or too close to the edge, the icing will end up oozing into your white frosting. Pink frosting is not gross but probably not what you want. Cream powdered sugar and butter. Stir in vanilla and 1 tablespoon of cream. Gradually add remaining cream until frosting is smooth and spreadable. I had to double the recipe to cover the cake. Such a pretty cake! What was your technique for applying the frosting? I like the effect. What a beautiful cake! I like the thin layers of raspberry filling and that it has nuts. It’s quite lovely! I love how you frosted the cake. It looks so beautiful! This looks amazing! I am not a very good “baker” but I’d love to try this recipe!